Building your dream home is one of the most exciting and exhilarating things that you’ll ever do. Everything that goes into your custom home build will be created and designed to fit your specific wants and needs. But what does it truly cost to build a house. Unfortunately, there is no short answer. 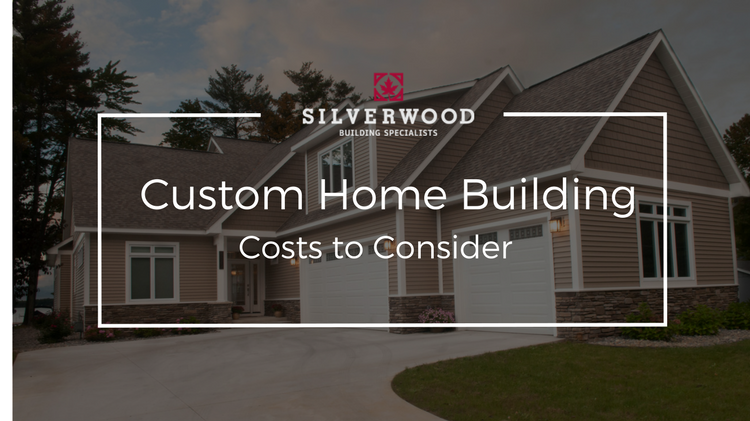 However, there are a number of considerations and decision that will help determine the final cost of building a house, and we’ve laid them out for you below. The most obvious expense is obviously the size of your new home construction. If your house plans consist of a 4,500 square foot home, there is going to be a higher price tag on that versus a home design with a 2,000 square foot footprint. It’s impossible to pinpoint an exact price even if know the square footage. People often ask what is the price per square foot is on a custom build. It’s like asking a car dealer what is the price per pound on a car. It just doesn’t make sense. The materials and labor are different for every project and that’s where the price difference factors in. The next cost to consider is the lot/land you are building on. Making sure that the land is right for building your custom built home is one of the most important factors. Depending on where your location is (waterfront or land locked), size of the lot, and conditions of the lot will all affect the price of your lot. When working with us, we will come out to your land and do a free lot evaluation to help determine if your dreams can be turned into a reality on that lot. You’ve lived enough homes and have enough home owning experience to know what finishes you like and dislike. Towards the end of your home build is the time to decide what you want in your dream home. Marble tile, laminate flooring, or carpet flooring. White or wood stained cabinets. Whatever finishes you would like, you should try to include, but costs do vary widely. Not every home build can go perfect, and directly according to plan. In the home construction industry surprises love to pop up. For example, you might go to dig a well, and discover there’s no water underground. When things like this happen, it’s nice to have money allocated specifically for contingencies. At Silverwood Enterprises, we pride ourselves on being forward and honest in our work. We take the time necessary to educate you on your custom home build. We are the top custom home builder in northern Michigan, and we want the opportunity to prove that you. We do a lot of listening, and ask the right questions. Whether you’re looking for a luxury custom home on the shores of Lake Michigan or a small cottage home on 20-acres in the woods, Silverwood Enterprises has the team to build your dream home. Let us help turn your dreams into a reality. Hey, great article. Really inspiring. I really love DIY, woodworking (and|&) reno activities. Thank you for sharing!